The Sydney Spa is a roomy & free form fiberglass spa with A LOT of bench seating. 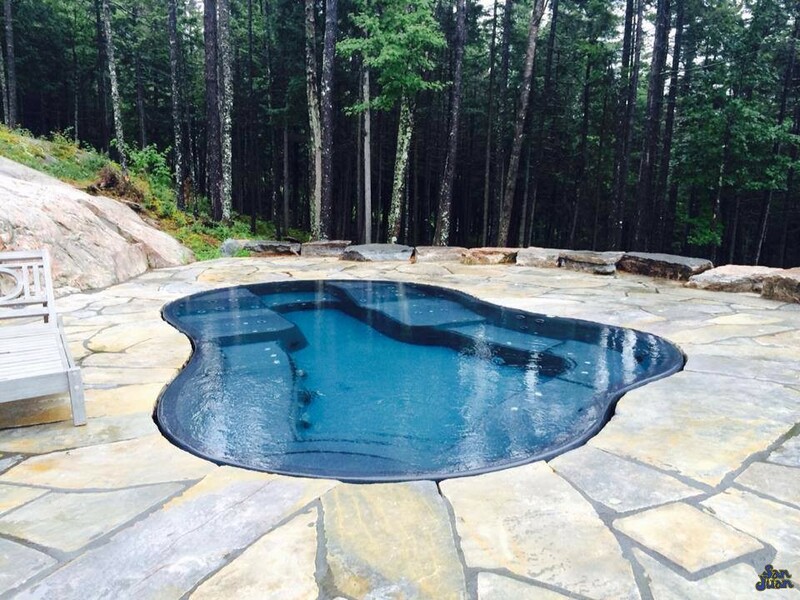 This fiberglass spa is large enough to hold up to 8 bathers at a time. You’ll love it’s 20′ 1″ length & flat bottom design! 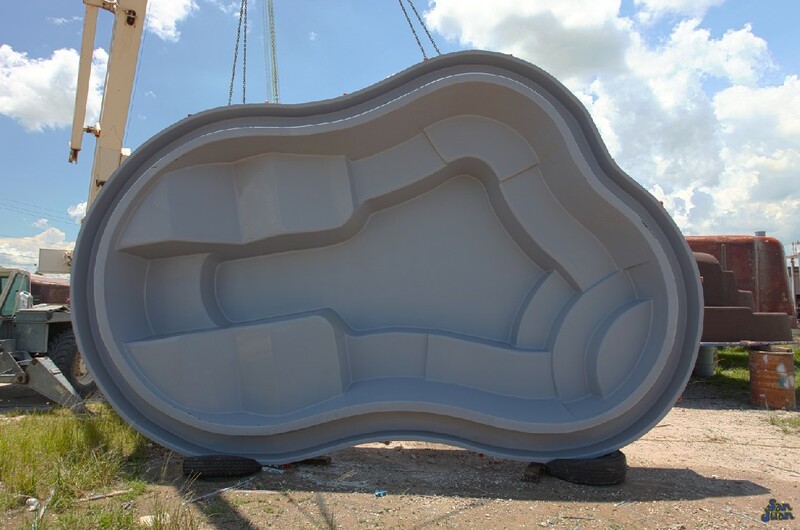 Welcome to the Sydney fiberglass spa – another free form fiberglass product that we offer! San Juan Pools is a fan of our free form designs because they offer a lagoon style layout with plenty of character. In fact, the Sydney Spa is one of our larger spa selections. As you can see from the image (above), the Sydney offers a wide array of seating options. These various benches and positions are perfect for pairing with a set of spa jets for unique massage positions. The Sydney spa has a wide array of customizations that you can choose from, including: LED lighting, spa jets and custom handrails. You can certainly get a little creative to make the Sydney Spa perfect for your home! Just how big is the Sydney spa? 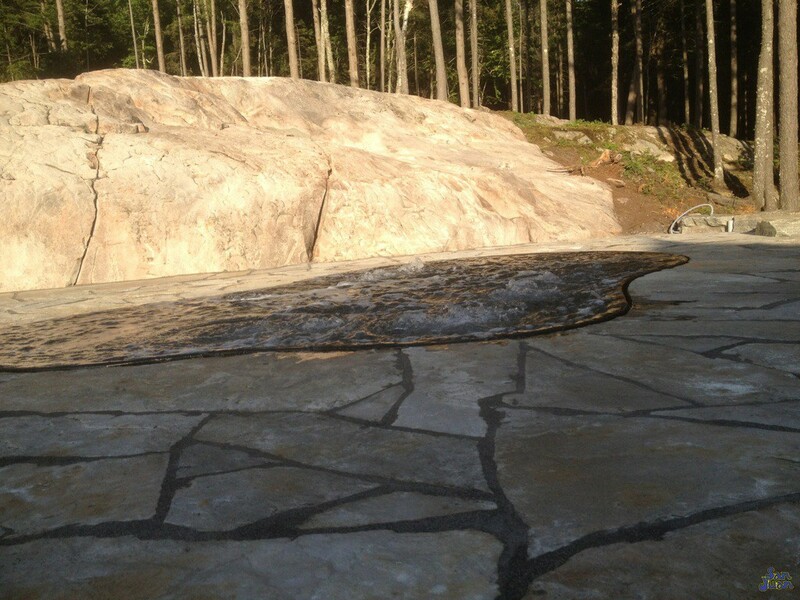 For starters, this free form design has an overall length of 20′ 1″! That is very large for a spa and it allows the Sydney to hold up to 8 swimmers at a time. You’ll be the talk of the party as you entertain a large number of guests in your spacious backyard setting. 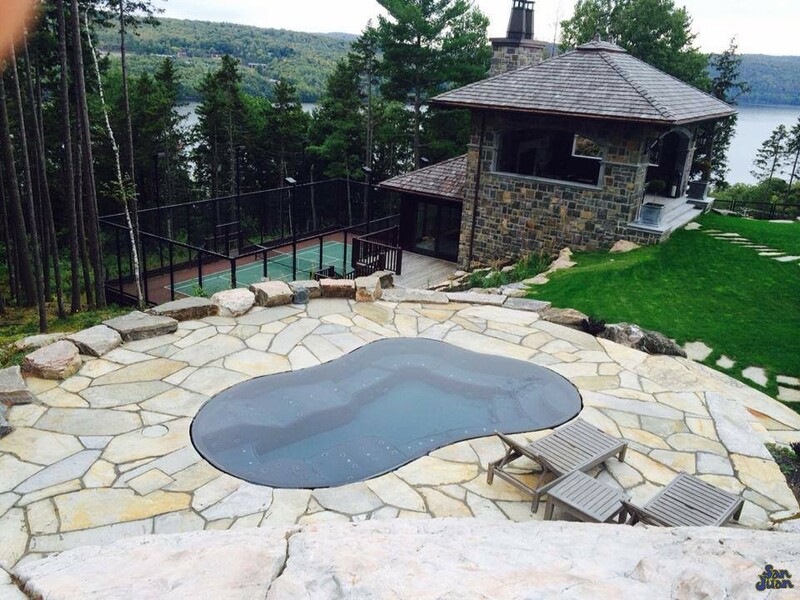 In addition to its large length, the Sydney spa holds up to 3,550 gallons making it both roomy and economical. 3,550 gallons is spacious yet small enough to be friendly towards your water and electrical bill! In our effort to make the Sydney spa as spacious and comfortable as possible, we’ve given the floor a flat bottom layout. This allows your guests to move easily about the Sydney from one position to another. ‘Eh hem, I think I just called that seat in the corner with the rotating back jets! In conclusion, the Sydney is a spacious fiberglass spa with a wide set of bench seating and free form design. You’ll love the spacious seating arrangement as well as the various massage zones that you can create. Just pair our various seating positions with jets of your choice and you can create the relaxing space that you’ve always dreamed of! Able to hold up to 8 swimmers, the Sydney spa is ready for your next outdoor entertainment event! Just give us a call or request a free quote today!